Hygiene is essential in the honey house. Registered sites for food preparation must be maintained strictly according to the law. Install stainless steel surfaces for easy cleaning. Wear protective clothing so as to ensure no contamination in your product. 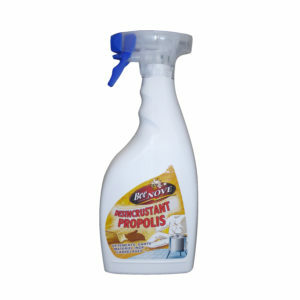 Propolis solvent is the ultimate solution for removing propolis from clothing, frames, tools and work surfaces as witnessed to by our many satisfied customers.